Allahabad Cab Services Company that provide car rental online services to insure your safe journey. A Saniya Travels Company based at Allahabad specializing in cab & taxi services providing high quality taxi services on rent. Our taxi services in Allahabad provide best and cheapest that generate your journey and trip to make easier. Our Allahabad taxi driver provides a stunning face to your Taxi Services for business propose. Our team of Cab Services at Allahabad is talented in their experience and guarantee user friendly face and simple way journey for cab services. We are top (Cab Services Company) Allahabad Taxi Services Company in Allahabad and we provide you full support to make your Allahabad prepaid taxi services Airport Taxi Services journey reach it’s possible less time. With our travels agent make easy way communication to our customer which one look Airport Taxi Services in Allahabad, we will pick & drop services at Allahabad Amousi Cab on rent services of attractive price. We assist you to our customer feeling with the Allahabad taxi company. It will too help you in growth very easy communication with our customer ando also provide good fare. We at our Allahabad taxi service (Cab Services Allahabad) understand you’re save money and time at your journey. After book the cab at Allahabad our travel agent will mark its presence at your journey spot with the help. Our Allahabad taxi services very helpful for our customer communicate. Don’t waste your time book your cab online or call us on 9336238280 you can email us Airport Taxi Services al low fare & prepaid taxi services at info saniyatravels786@gmail.com . Need Taxi and Car rental in Allahabad? Whether you’re looking for a hire taxi or car to travel within Allahabad or an outstation trip, we provides you the best bargains on cheap, first-class, luxury, standard and budget cars or cabs rentals packages in Allahabad. Choose from a wide range of Cars with varying degrees of relieve and expediency – Audi, Mercedes, BMW, Indica, Indigo, Dezire, Vento, Etios, Innova and more luxury Cars. Whether you’re a local of Allahabad or visiting the city for business or vacation, a rental car is one of the best ways to travel beginning one place to another. Based on your exact requirements, you can book online your taxi and car rental plan by km or go for our reasonable daily rates. Our Taxi, Cabs and Car Rentals services Allahabad is offered 24 hours a day 7 days a week. Saniya Travels is one most reliable transport company in Allahabad. We offer all kind of luxury cars, taxi, tempo traveler, cabs and luxury bus on rent for only travel needs. Saniya Travels is one of cheap and best car rentals service Provider Company in Allahabad which offering tour and travel service from last 10years. We have a team of skilled drivers which drive well and comfortable. Book your car rental in Allahabad and call us at 9336238280 you can also use the online form on our website “Saniya Travels” to book your car rentals in Allahabad. Saniya Travels provide quick and fast cabs services in Allahabad; Saniya Travels taxi is largest car rental provider in Allahabad. Our Travels Agent Provide best car rental in Allahabad. You can choose our large taxi hire in Allahabad on rent base. We are book best cheap car rental in Allahabad on Online base of phone call – 9336238280. We have book car on rent with affordable car rental price in Allahabad; We have two option book your cab online booking car rental in Allahabad. Saniya Tour & Travels provide best services in car rental in Allahabad & car on rent in Allahabad. Allahabad cab services provide large range of latest car for all types of event like Party, Marriage Corporate office; Traveling Etc. Saniya Travels provide all types Car rental services in Allahabad like Tavera, Innova, Swift Dezire, Indigo, Tempo Travels Etc. Our travel agent book cab in Allahabad on lease purpose for your stylish journey. Saniya Travels have 10 year experience in taxi services in Allahabad. So no Delay book cab in Allahabad at low cost. Hire taxi in Allahabad and book your book cab by online or Contact us to 9336238280. 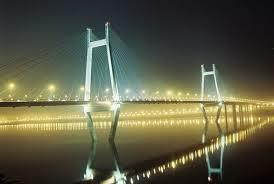 One of the best places to start travelling in India is Allahabad because; it has one of greatest international airport. Avail the car rental in Allahabad to travel around the city and vacation nearby places like Kanpur, Varanasi, Vindhyachal and Lucknow. We have trained taxi drivers who have been running in the field of transport travelers for quite a long time. They are honest and reputable men, who ensure to provide the best in car, cabs and taxi services in Allahabad. Saniya Travels provide taxi services marriage and corporate at cheapest price and Low price in Allahabad. Car Rental Services Allahabad for Airport and railway station pick up and drop. With promise to the maximum level of customer services. Saniya Travels Car booking in Allahabad, Van rentals, taxi services, cabs rentals – GPS navigation system rentals, 7-12 passenger van rentals, Our philosophy is, “If you feel that there is amazing more significant than a customer…then you need to feel again.” Saniya Travels Taxi Service Allahabad to provide our customers with competitive prices and the best payless rent a car service available. Taxi Services Allahabad can offer priority services at best rates and discounts to regular corporate customers. We offer wide range of economy and luxury taxi cabs and cars rentals for your tour, transfers, events etc. Tata Indica, Maruti Swift Dzire, Mahindra Logan, Economy Cars, Toyota Etios and more. Local car rental services in Allahabad are: Half Day or Full Day. Use these services for home trips like shopping, attending schools, offices and meetings, or for visiting local hospitals Pick up, Drop, Pick up & Drop and Use these services to accomplish places of commute like airport, railway-station, hotels, bus stands and doorstep location of your choice. Saniya Travels, we offer you cab taxi allahabad services in your local area at Achhola, Agriculture Institute, Ahmadganj, Atrampur, Atraura, Ahmedpur Asrauli, Ahmedpur Pawan, Akorha, Attarsuiya, Audhan, Aunta, Aladadpur, Alam Chand, Allahabad, Allahabad Chowk, Allahabad City, Allahabad Fort, Allahabad High court, Allahabad Kty., Allahabad New cantt, Allahpur, Allenganj, Amilia Kalan, Amitco, Amora, Anapur, Andhiyaari, Anuwa, Arahkala, Arai, Arail, Ashey pur, Asrawey Kalan, Babhani Hethar, Babuganj, Badagaon, Badaur, Badokhar, Bagai Khurd, Bagbana, Bahadurganj, Bahadurgarh Arwasi, Bahraicha, Bakajalalpur, Balapur, Bai Ka bagh, Bajha Mazra lohia nagar, Balraj Nagar, Bamaila, Bamhrauli Uparhar, Bampur, Bamrauli, Bamrauli Air port, Bara, Barai Harakh, Baraon, Aura, Ayodhya, Babhan Kuiyan, Barasta Kalan, Baraut, Barethi, , Basahi, Basahra, Basahra Uparhar, Baserhi, Basgit Bazar, BasnaBarha, Barha Kalan, Bari, Bedauli, Beerapur, Begumsarai, Belsara, Belwa, , Bhageshar, Bhagwatipurkhutana, Bhagwatpur, Bhaiyan, Bhandiwar, Bhanjanpur, Bharari, Bharat Nagar, Bharatganj, Bhatauti, Bhatewra Kathar, Bhelsi, Bhita, Bhiti, Bhogwara, Bhopatpur, Bhunda, Bigahra Usmanpur, Bigahuna, Biharia, Bihariya, Bikikalan, Bemra, Bendon, Beri, Bhaganpur, Bilari, Birpur, Bisari, Bisauna, Bithauli, Bomapur, Buir, Buxie Khurde, C D a (p), Cavellary Lines, Chaka, Chamrupur Urf nantaut, Chamu, Chandopara, Chandpur, Chanethu, Chawki, Chhapar, Chhata, Belamundi, Belhat. We provide car rental allahabad services in Chhatahra, Chhatnag, Chheoki, Chhibaiya, Chhiri, Garapur, Garha, Chhitpalgarh, Chilla, Chiraon, Dandi Bazar, Dandupur, G T b nagar, Ganja, Gauspur, Daraganj, Darashahazmal, Dari, Dariyabad, Daswar, Deeha, Dumduma, Fatehpur Ghat, Deewanganj, Deoghat, Deoli, Deonahri, Hata, Hathigahan, Deora, Dhanaura, Dhara, Dhobaha, Dhokari, Dhoomanganj, Distt.Board, Dohariya, Dohatha, Dubaha, Dubawal, Dubeypur, Gauspur Katahula, George Town, Ghiya Ngr, Ghodedeeh, Ghoorpur, Girdkot, Gohari, Gorigon, Gunai Gaharpur, Handia, Handia Manpur, Hanumanganj, Harduwa, Haripur Marron, Harisenganj, Hetapatti, Hetapur, Himkalyan, Hindi Sahitya sammelan, Holagarh, I L c, I T i, Imli Gaon, Indian Press, Ismailganj, Issauta, Kanethi, Kanti, Jagatpur, Jagdishpur, Jaguwa, Kheraht Khurd, Jalalpur Ghosi, Jalalpur Kasba, Jamunipur, Janghai Bazar, Jari Bazar, Jasra, Jaswan, Jawaniya, Jhunsi, K G marg, K N marg, Kahli, Kalyani Devi, Kamlanagar, Kapasi Kalan, Kapraura, Kapsa, Kara, Karaundi, Karchha R.s., Madhonagar Bigahia, Madra Mukundpur, Karchhana, Karehnda, Karela Bagh, Karma, Karnaipur, Karpia, Katahra, Katghar, Katra, Katrauli, Katwaroopur, Kaundhiyra, Kayastha Pathshala, Kesaria Road, Kewai Buzurg, Khain, Khajuri, Khakhaicha, Khaptiha, Khargapur, Kiraon, Kishundaspur, Konhdar, Koraon, Koraur, Kosda Kalan, Kotwa, Lalgopal Ganj, Leader, Leader Road, Krishna Nagar, Kumhawa, Kurki Kalan, Kush Fara, Lakshagrih, Lalapur Bhatpura, Leelapur Kala, Lendiyari, Leondi, Lohgara, Lokmanpur, Lutar, M G marg, M L n engg.coll., Mahajna, Maharchha, Mahgaon, Mahori, Mahuli, Maida, Mailahan, Majhigaown, Malak Harhar, Malaka, Malawan Khurd, Manauri, Manauri Af, Manda, Mandardeeh Mafi, Khiri, Khoonta, Mandwa Bazar, Manpur. Taxi Service allahabad at Mansoorabad, Masauli, Masni Jagdishpur, Mugarshan, Mukundpur, Mau Aima, Mawaiya Hindwani, Mehraunda, Naganpur, Nai Bazar, Naini, Meja, Meja Road, Mendara, Mendewa, Misirpur, Mohd.Pur gheempur, Mohdpur Taluka, Motiha, Mubarakpur, Mungari, Mutthiganj, Naini Pac, Narainganj, Nasratpur, Nathupur, Naudhiya Tarhar, Nayanwar, Nehru Nagar, New Bairahana, Newada, Pachdeora, Pachera, Newadhiya, Newadhiya Uparhar, Nibaiya, Nibi, Nibi Bari, Nibi Kalan, Nidura, Nindula, Niralachowk, Niyayipur, Noorpur, Othgi Tarhar, Paintiha, Palpatti, Panasa, Panduwa, Panwar, Panwari, Paranipur, Parewa Narainpur, Prayag, Prayag Mahila vidyapith, Pasna, Pathra, Patwa, Phaphamau, Phoolpur, Pindi, Pipalgaon, Pipari, Pipraon, Piyari Urf bijlipur, Prem Misirpur korali, Shankargarh, Shergarh, Shivgarh, Prem Nagar chauraha, Prithvipur, Public Service commission, Purabnara, Pure Ghasi, Sayed Serawan, Serawan, Pure Kanta, Purkhas, Purshottam Nagar, Purwa Khas, Rajapur, Rajrooppur, Ramaipur, Ramgarh, Ramgarh Kothari, Ramnagar, Rampur Kalan, Rampur Kotwa, Ranipur, Tilhapur, Tirath Raj aushadhalaya,, Rokari, S N marg, Upraura, Uruwa, Utraon, V N marg, Zera, S R marg, Sahson, Saidabad, Saji, Sallahpur, Samhan, Sansarpur, Sarai Inayat, Sarai Madan urf chanti, Saraswatipur Urf kaudhiyar, Satti Chaura, Sewaith, Shahipur, Shringverpur, Shukulpur, Sikandarpur Bazha, Sikandra, Sikikhurda, Silaundhi, Singra Mau, Sirsa, Sirsa Chauraha, Siswan, Siyadeeh, Sohbatia Bagh, Sonai, Sonversa, Soraon, Soron, Subedarganj, Subhash Ngr, Sujani, T S l, Tagore Town, Tatarganj, Tejpur, Tela, Tigza, Tilakhwar Trisentulapur, Triveni Marg, Udyog Nagar, Ugrasen Pur, Ulda, Umari, Umariasari, Umarpur Neewan, Unchdeeh, University. Saniya Travels provide taxi services From Allahabad to , Fatehpur, Firozabad, Baghpat, Bahraich, Ballia, Chandauli, Chitrakoot, Deoria, Farukkhabad, Balrampur, Banda, Barabanki, Etah, Etawah, Faizabad, Hardoi, Hathras, Jalaun, Bareilly, Basti, Bijnor, Budaun, Bulandshahar, Jaunpur, Jhansi, Gautam Buddha Nagar, Ghaziabad, Ghazipur, Gonda, Jyotiba Phoole Nagar, Kannauj, Kanpur Dehat, Kanpur Nagar, Kaushambi, Gorakhpur, Hamirpur, Mathura, MAU, Meerut, Rampur, Saharanpur, Kushi Nagar (Padrauna), Lakhimpur Kheri, Lalitpur, Lucknow, Mirzapur, Moradabad, Muzaffar Nagar, Pilibhit, Pratapgarh, Raebareli, Maharajganj, Mahoba, , Siddharth Nagar, Sitapur, Sonbhadra, Sultanpur, Unnao, Varanasi, Agra, Aligarh Allahabad, Ambedkar Nagar, Auraiya,Mainpuri, Sant Kabir Nagar, Sant Ravidas Nagar, Shahjahanpur, Shravasti, Azamgarh Cab services and cab car rental. Saniya Travels give his rental services in from Allahabad to Lucknow, delhi, vindhyachal, Allahabad, Ayodhya, Sarnath, Allahabad airport, Betla National park, Nalanda , Lucknow, Varanasi Airport, Gaya, Bodh Gaya, Patna, Rajgir , taxi from Allahabad to delhi, taxi from Allahabad to vindhyachal, taxi from Allahabad to patna, taxi from Allahabad airport to singrauli,, taxi from Allahabad to singrauli, taxi from Allahabad to allahabad, taxi from Allahabad to ballia, taxi from Allahabad to gorakhpur.